SonicWall Capture Labs Threats Research Team investigated the sample mentioned in the story that came up on Reddit. We blogged about it recently and to investigate further we ordered a Gretel A7 device and analyzed it to verify the presence of pre-installed malware. Pre-installed apps on an Android devices are present in /system/app/ or /system/priv-app/ folders and are usually referred to as ‘system apps’. Apps present in these folders cannot be removed by the user as they do not have access to these folders. Another reason why apps installed from device manufacturers – typically referred to as ‘bloatware’ – is typically seen in one of these folders. Pre-installed malware is also found in these folders thereby hiding their presence from the user and making it extremely difficult to remove them using conventional means. 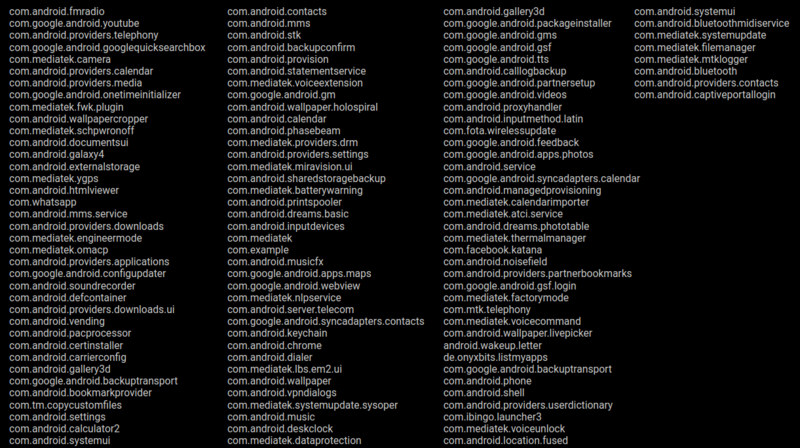 We extracted a list of all the apps present on the device, a total of 117 (including system apps). The malicious adware discussed in our previous blog on Gretel devices was not present in this list of installed apps for our device. Based on our analysis we verify that the adware mentioned in the previous blog was not a case of pre-installed malware. After observing these packets we analyzed the installed app com.ibingo.launcher3 which is essentially the launcher used in Gretel A7 devices. Upon analyzing and running this app on a different device we observed the same network activity as shown above. We feel there are some suspicious indicators for this app and it leaks the IMEI of the device on which this app is installed. Also, we observed this domain was listed under a Mobile Ad Tracker tool on Github. We saw another communication with a domain where the IMEI of our test device was leaked as shown above. This highlights the importance of taking time to research about a device before purchasing it. 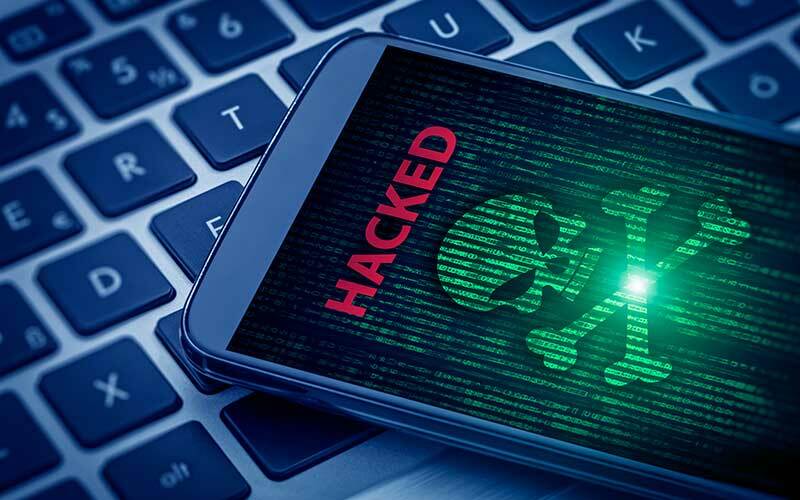 The Android ecosystem is very dynamic, malicious apps and domains are often cleaned and the current state may be different from what was observed in the past. 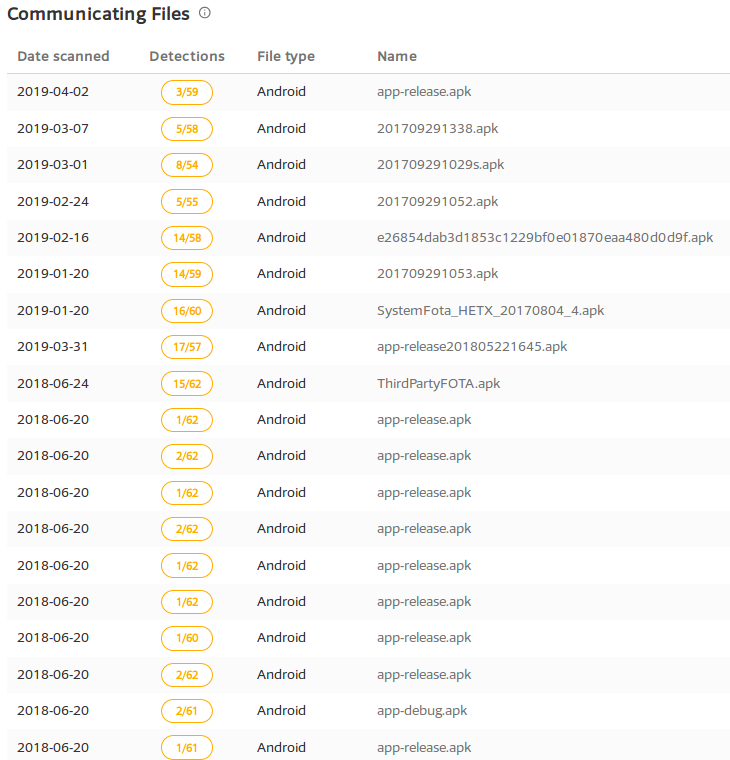 Overall during our analysis period of almost a week we saw suspicious network communication through our test device, IMEI data was also leaked in a few instances which raises a cause of concern. One of the system application has the dangerous permission to install and delete package and we saw it use these permissions where an apk file gets downloaded and executed via dynamic loading technique. 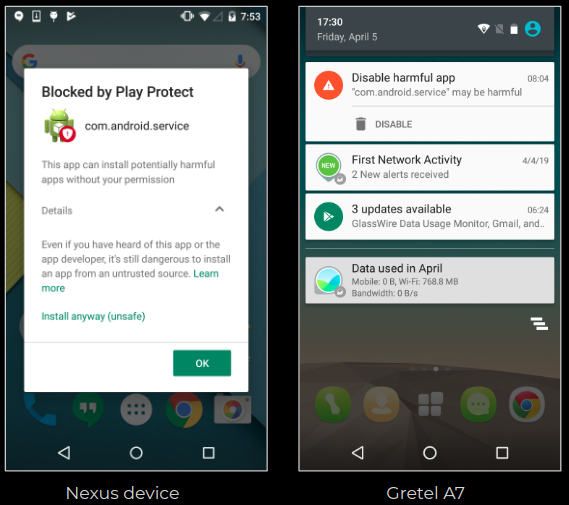 We did not see the adware that we analyzed in our previous blog on our Gretel A7 device, however we did see a number of suspicious pre-installed applications and suspicious network activity during our time analyzing this device. One such app was marked as malicious by Google Play Protect. In some reported cases advertisements were seen after a number of days of purchasing the device, we did not see any advertisements but our analysis period was considerably short so we will keep an eye on our Gretel A7 device for any suspicious activity for the next few days to come and update our blog accordingly.